Designed to seamlessly scale as your business grows and your mobile initiatives evolve, the VMware AirWatch® platform can support your entire global deployment with a single console and a multitenant architecture. Delegate management across geographies, divisions and departments with role-based access controls. The VMware AirWatch console, application suite and self-service portal is available in 17 languages to support your global workforce. Our global services and support team backs up your IT department around the world. So you always have what you need, where you need it, now and in the future. 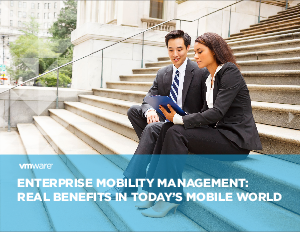 You can provide a seamless digital workspace, so employees can be more effective on the go with a future-proof mobility platform that supports business initiatives now and in the future. Automate processes and unify point solutions with a single management platform to relieve the burden on IT.